michael2595 had the most liked content! I have heard from friends in Puerto Vallarta that they really have had not one issue with their claims. My wife has it. Look into Vumi expat insurance. The insurance office across from quality care sells it. pretty darn good and everything is explained on the website. Look at the bronze policy and what it offers. so when I see a souped up camaro or mustang etc on 54d autopista doing 200km+ an hour in could be a federal cop? Which funeral homes are geared to the expat community and approx what would a prepaid plan cost? Can one negotiate? Tijuana is # 1 !!! We live in San Antonio T in a fracc and we have had water issues for the last 2 weeks and its getting worse. Our fracc has had to bring in water quite a few times. Water is being shut off at night to conserve. We get our water from the San Antonio T well and have been told that it is very low. Its getting to be a real pain. And when the water comes out it is murky. Just received our Berkey water filter from the states. News from HOA is not very optimistic. Perhaps when the snowbirds leave it will get better. Just got an email from the Chapala Reporter ... 82.8 million pesos for carretera reconstruction project. I am not a subscriber. The developers should love this . Is this planned because of all the future development? Food for thought... 4 story parking lot planned in Chapala and now this? What amazed me about OXXO is that bottled water in some of them is more expensive than coca cola. Coca Cola sure is pushing that stuff. At least its made here with cane sugar instead of poisonous high fructose corn syrup back in the states and other places. Dr. Youcha is the only one Lakeside as far as we know with a cedula and he had been doing this work for 40 years . He is a doctor. 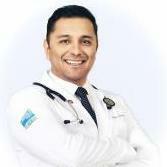 Went to chiropractic school at Northwestern University and is the 60th certified chiropractor in Mexico. Teaches special classes in Mexico City and other Latin American countries . He has an associate, Roberto who I hear is also very good and also someone who comes in to do acupuncture. Dr. Youcha is the real deal. We have been to quite a few in the states and My wife's first visit was pretty amazing considering she was walking real straight with no pain after her first visit. Initial visit for my wife was 1750 pesos. Each session afterwards has been 750.